When these four cousins get together you better beware! 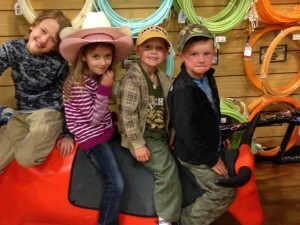 Four 5 year olds + a 9 year old = Trouble in a big way! Thanks for the photo, Tiffany. What an interesting bird the Glowing Puffleg is. It has the cutest little puffy legs; looks like it has on fuzzy topped Uggs. The ramifications of going down this slide might be very interesting. Not sure what they were thinking when they put play equipment at the top of concrete stairs. This was at a restaurant/gas station in Cosanga. A quick iPhone shot out the bus window. 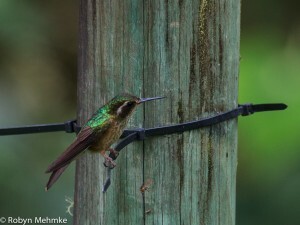 Here is another shot of a Chestnut Breasted Coronet. 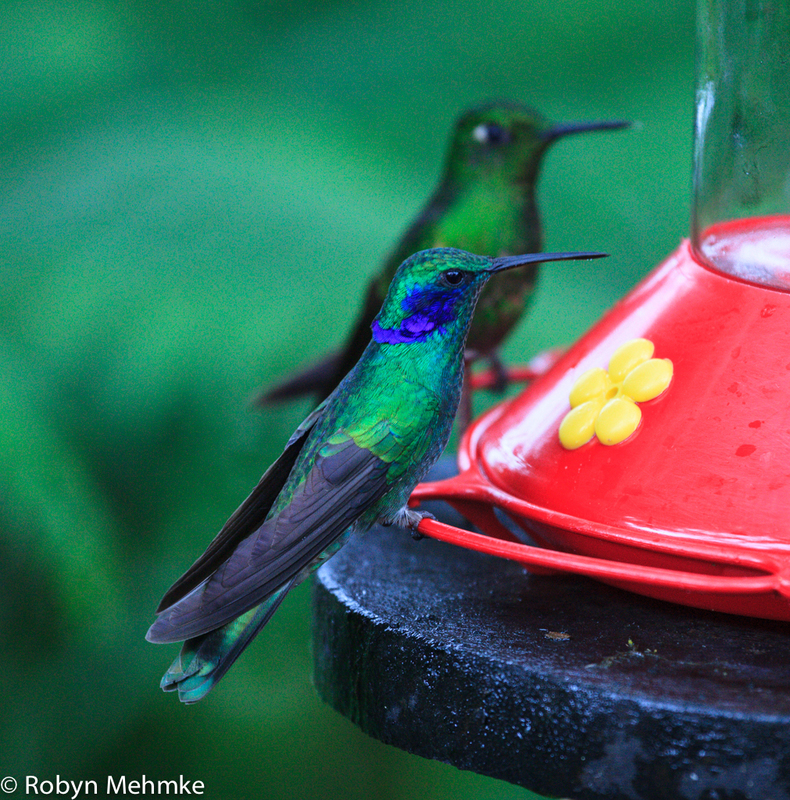 These birds were not only beautiful, but seemed quite cooperative when it came to posing. I am off to Fort Benton for the weekend of Summer Celebration. Well worth the trip for the street photography, the parade and the fireworks. The kids are very excited to go and Nick will be cooking his regionally famous Gyros at the Grand Union’s food booth. I can’t wait to have one of those yummy Greek sandwiches. Day 180 How About These Fuel Prices? 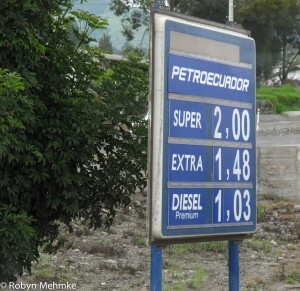 What about these fuel prices? 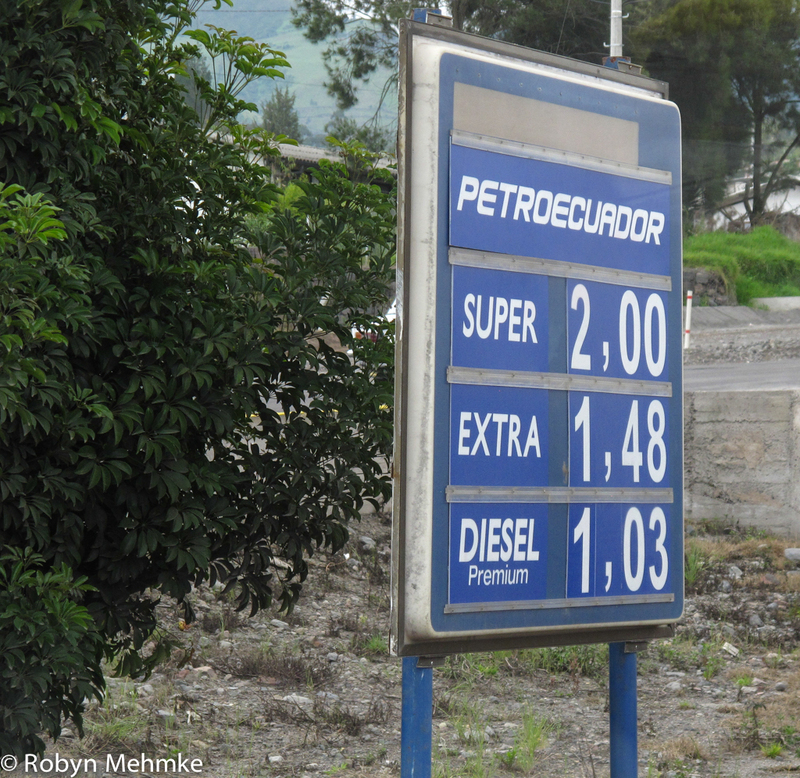 Ecuador does not import oil, so they keep their prices down. Taken early one morning as the fog rolled in. 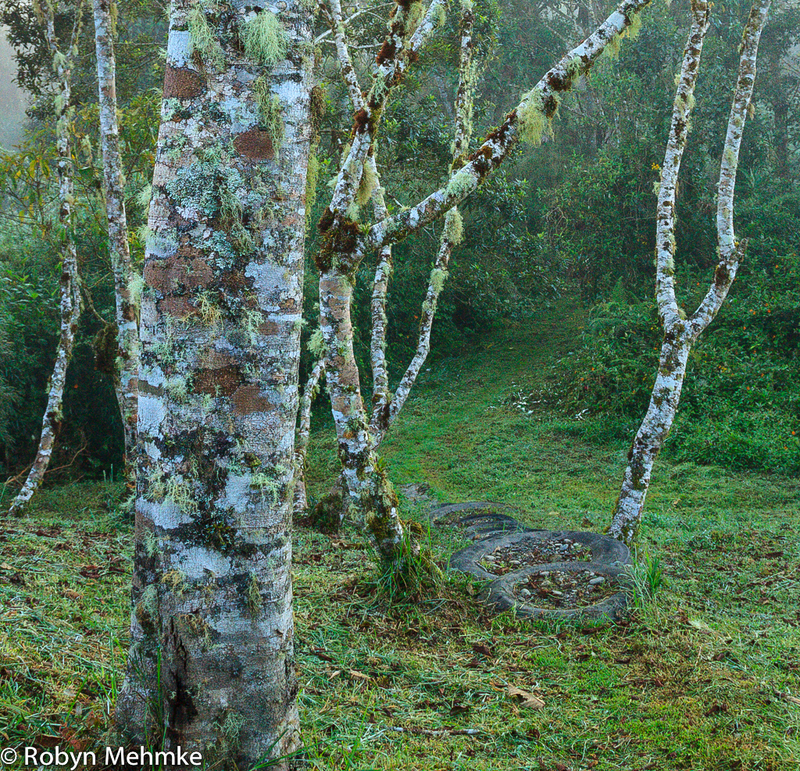 We dealt with a lot of fog and rain, but the diffused light was wonderful. 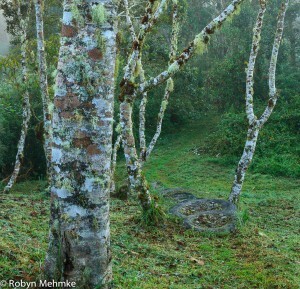 Aren’t these trees interesting? Day 178 I’m Watching You! 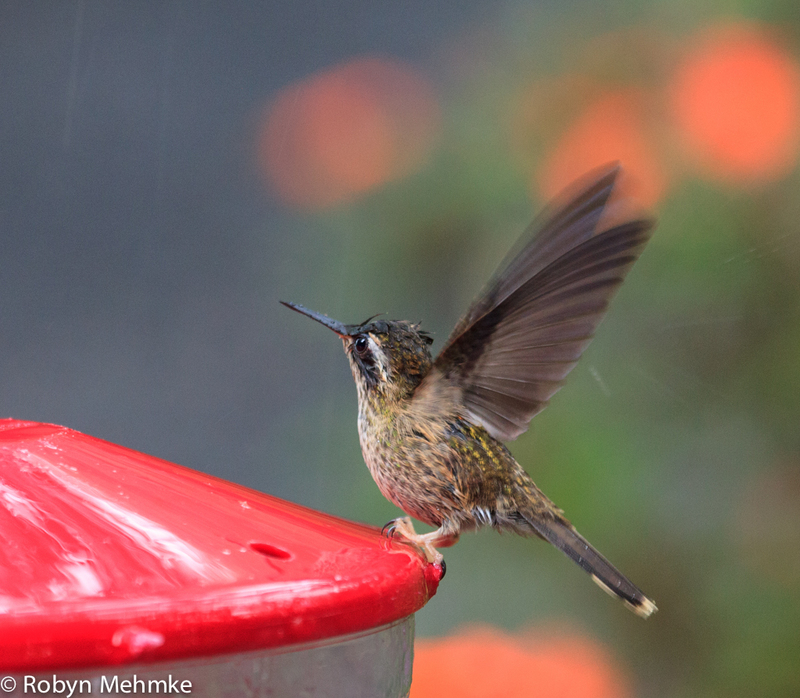 This little Speckled Hummingbird was sure keeping an eye on me when I captured this image. Cute little guy, isn’t he? He is a little damp, as it was pouring rain at the time and he was thoroughly enjoying it. Take a closer look by clicking on the photo. We just had another rainstorm here in Great Falls that made the air fresh and clean. There is certainly no reason to complain about lack of moisture. For those of you who don’t know, I am the administrator of the Great Falls Camera Club’s Facebook page. Go take a look at the page sometime and see some pretty neat photography. I put a quote, a photo and an educational article up each day. This next year is going to be very full of photography. Not only do I have trips to Glacier, Albuquerque, Sedona, Hawaii and Costa Rica planned, but I am also the newly elected president of Great Falls Camera Club. Oh, yes, and then there is the fair next month where I am asst. superintendent of the photography exhibit. I think I am going to be busy. 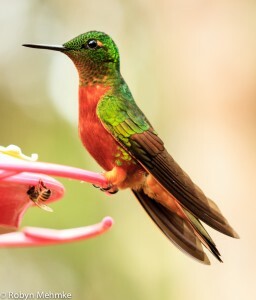 Isn’t this a pretty hummingbird? 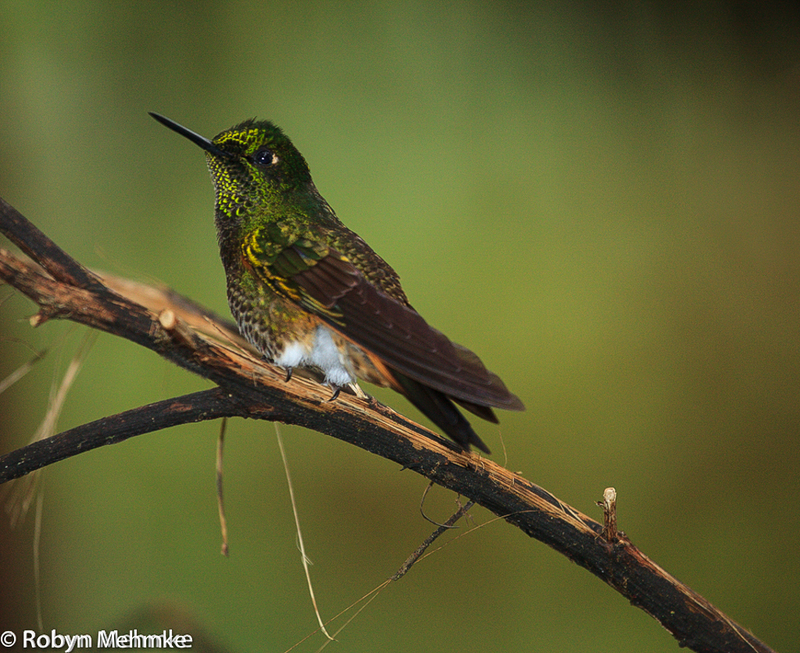 The Sparkling Violet-ear is quite the gorgeous fellow. Quite appropriately named too. I am ready to return to this beautiful place anytime. I see a trip back in the future. I am sure that Costa Rica will yield some gorgeous birds too. Any guesses where this is at? 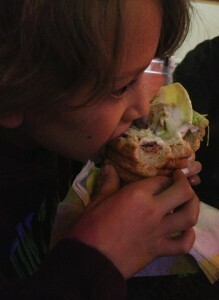 That sandwich is pretty unique and was a first for Tristan. Yum!! iPhone image in a very dark corner. 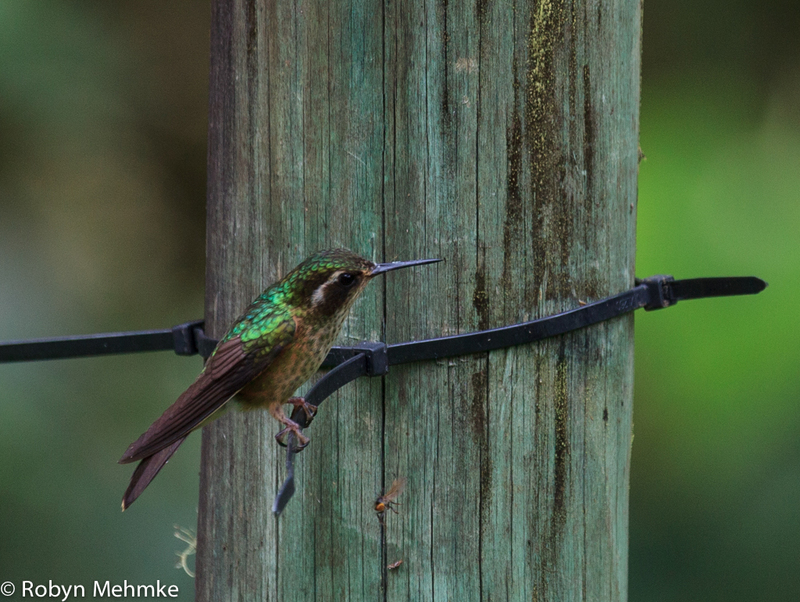 This Western Emerald liked perching on this wire and I was fine with that for a quick image. I am not thrilled with how these photos are showing up on the blog. But they look fine when enlarged by clicking on them. Please do take a closer look. Maybe it is just my eyes. You are currently browsing the Window on Cherry Pie Lane weblog archives for June, 2014.